Bags, 10lb. 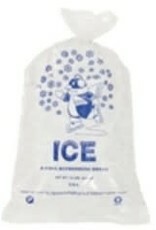 Printed Ice Bags 2/500ct. Case. Expertly bag and store ice with this Choice 10 lb. 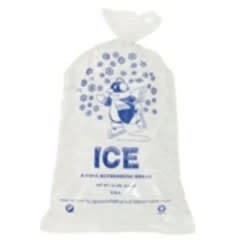 clear plastic ice bag! 12" X 21" with twist tie.